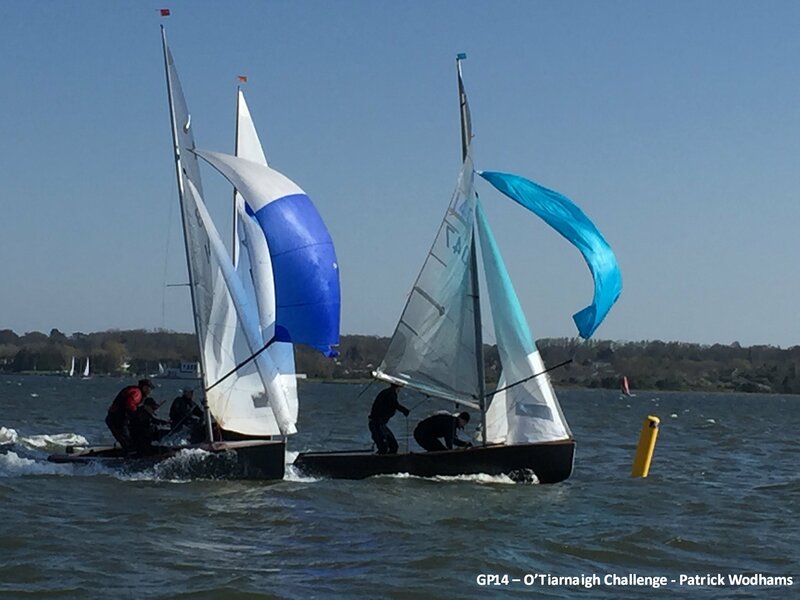 The GP14s kicked off the season with the Riocard O’Tiarnaigh Challenge sailed at Swords Sailing Club on the weekend of the 18th and 19th of April. 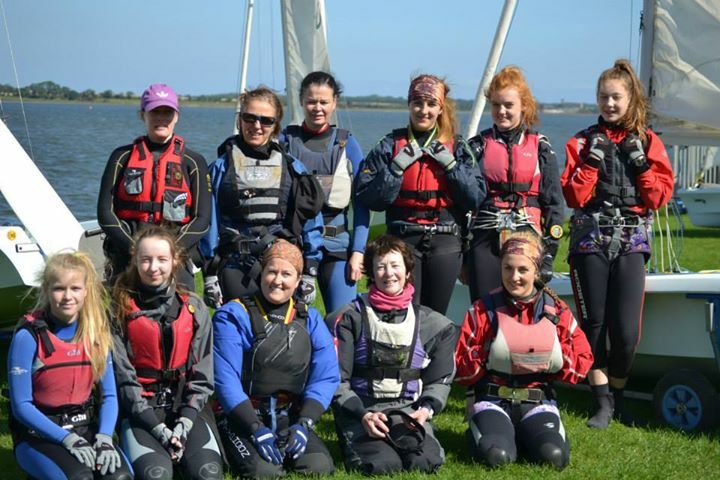 A total of 20 boats turned up to compete for the championship which was run in individual fleets Gold, Silver and Bronze over the Saturday and Sunday. The top four in each fleet qualify for the final three race sail-off to determine the overall winner on the Sunday afternoon. With a steady 13 knot breeze the bronze fleet were first to take to the water and the young Gallagher brothers Gareth and Richard showed early form to lead the first race from start to finish. 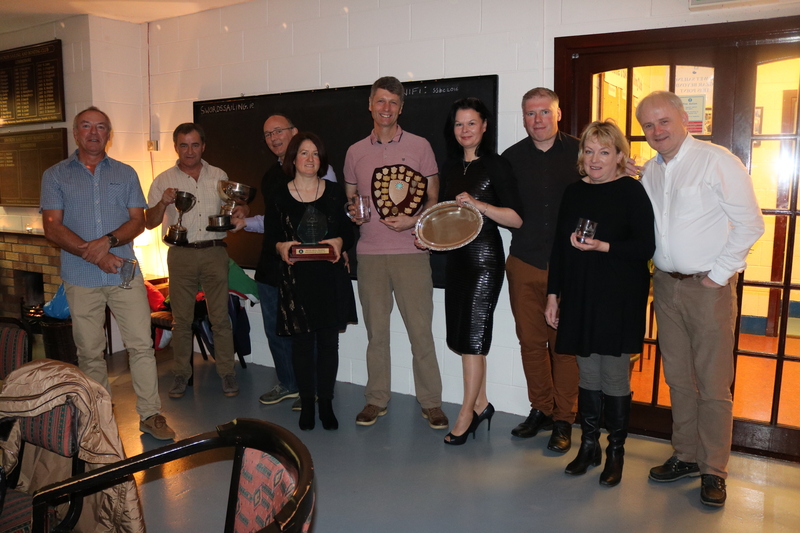 In the silver fleet it was Simon Cully paired with his old crew Richard Street who took line honours while in the Gold fleet it was the Tim Corcoran and Brendan Brogan, back after a year’s sabbatical who showed the early form and took the first race. As the day progressed it was the young Gallagher brothers from Culmore who dominated the bronze fleet winning all but one of the six races on the Saturday. 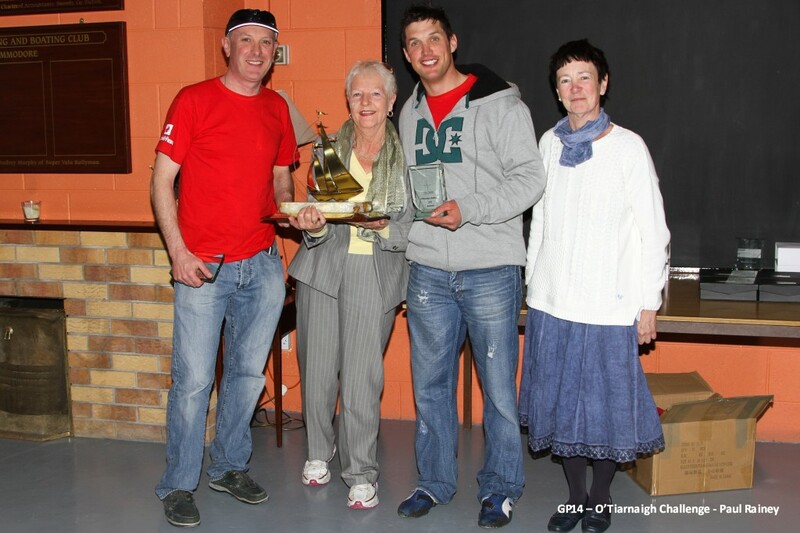 It was young Peter Boyle crewed by the auld fellow Stephen who won the last race of the day to hold second place overnight in the bronze fleet. 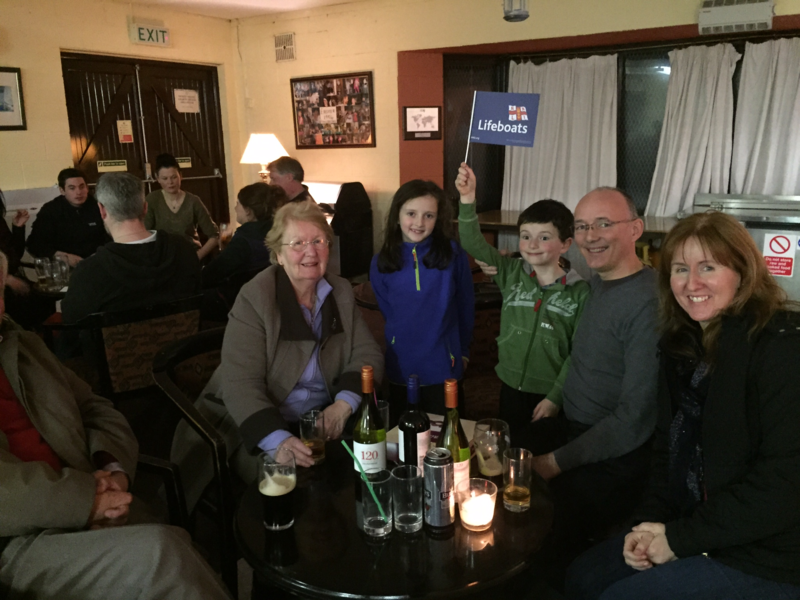 Third place overnight was Adrian Lee and Edward Coyne from Youghal. Adrian and Edward sailed a consistent series finishing either second or third in each of the six races. The silver fleet was hotly contested with Simon and Richard taking three of the six races but two DNS meant they were relegated to third overnight. 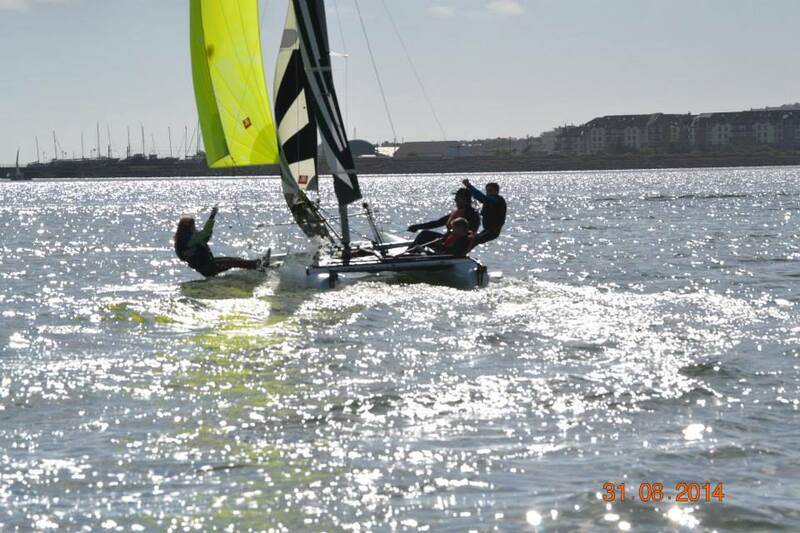 Colman Grimes and David Lappin took two of the six races and were the overnight leaders in the silver fleet. Bill and James Johnson won one of the six races and finished the day in second place. Despite Tim and Brendan’s early showing it was Niall Henry and Ossin Geraghty who dominated the first day in the Gold fleet taking two of the first six and finishing second in three of the others. Shane MacCarthy and Damian Bracken finished the day in a creditable second place taking one of the six races and finishing second and third in the rest. The Mc Guinness brothers held third place overnight with consistent top four finishes. On Sunday morning there was still three races to sail in the qualification series and qualification open to almost all the fleet. 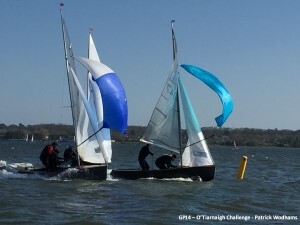 The Gallagher brothers, who after their strong showing on the Saturday had already qualified for the final didn’t need to sail but decided to go out and get a feel for the course in preparation for the final. They sailed the first race and then came ashore to rest while the other battled it out for the remaining qualification spots. Peter and Stephen Boyle, Adrian and Edward from Youghal and Michael Collender with Brian Walker from Mullingar took the other qualification spots for the final. 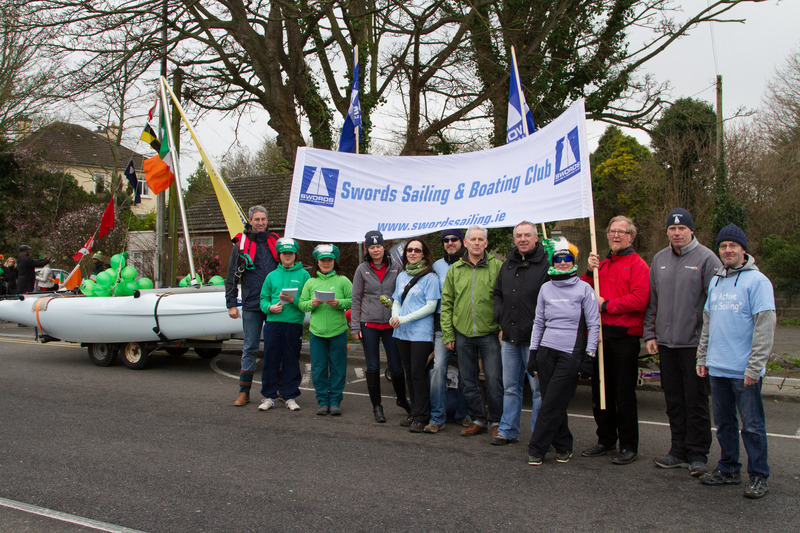 In the silver fleet it was Colman and David, Simon and Richard, Bill and James with Gerry Gilligan and Lucia Nicholson who qualified for the silver fleet. 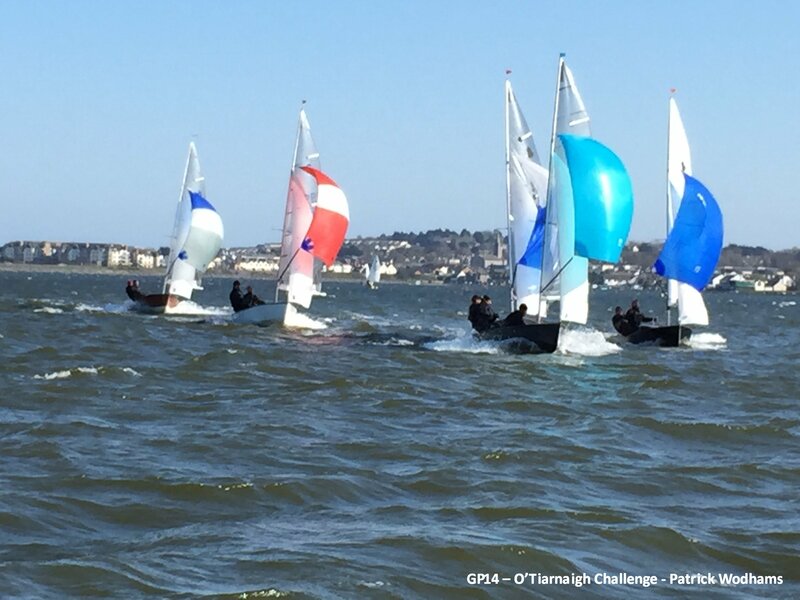 In the gold fleet the qualification places went to Niall and Ossian, Shane and Damian, John and Donal with Tim and Brendan taking the final spot. The first race in the final saw Simon and Richard a little to eager to start and earned a black flag for their troubles. Niall and Ossian lead at the weather mark and held it all the way to the finish. Shane and Damian were second with Tim and Brendan third. Race two saw a reversal in the top two positions with Shane and Damian taking the first place and Niall and Ossian taking second. With double points for the last race, the overall result would depend on which of the two inform teams could come out on top. In the end it was Shane and Damian who won the race and the championship with Niall and Ossian finishing second overall with the McGuinness brothers taking the last of the podium positions. Colman and David took the top honours in the silver fleet while Adrian and Edward were the overall winners in the bronze fleet.